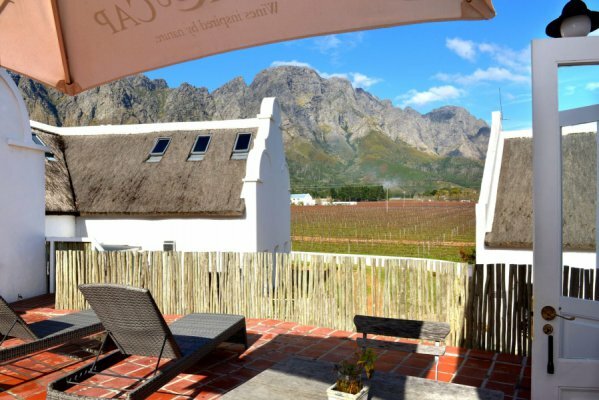 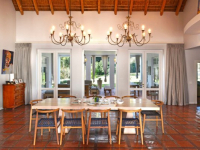 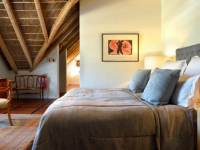 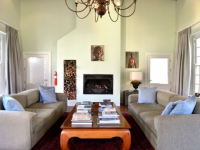 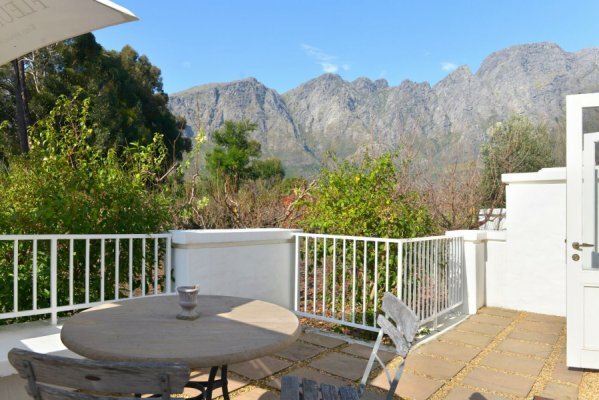 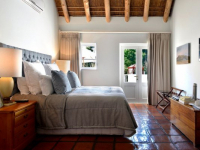 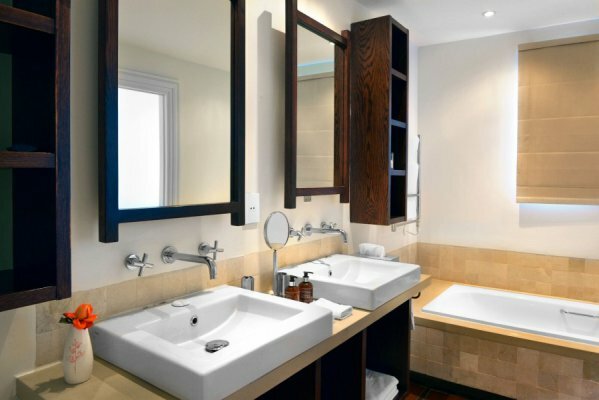 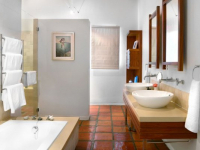 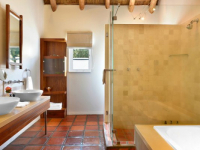 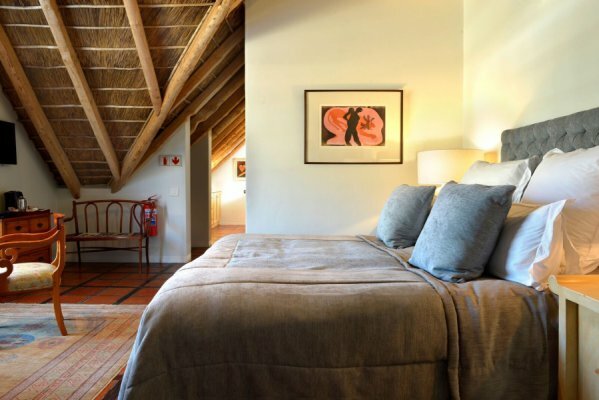 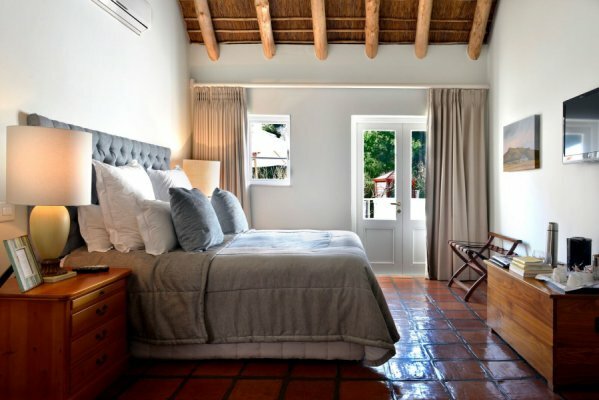 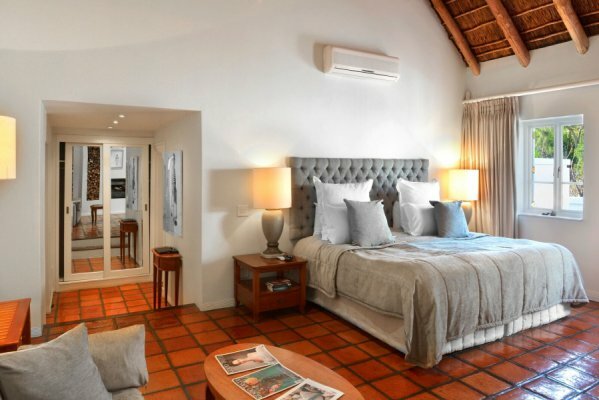 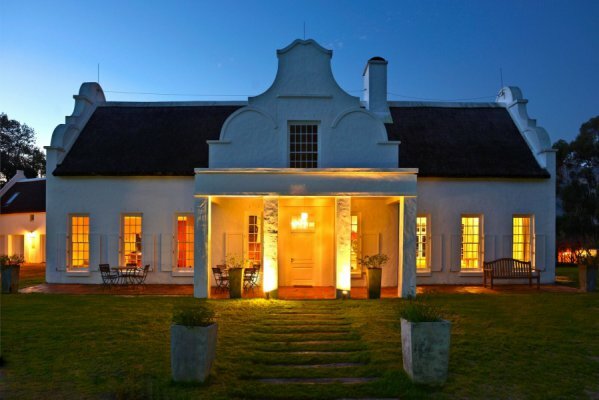 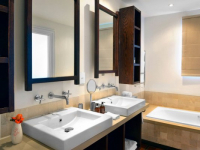 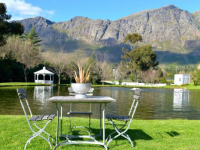 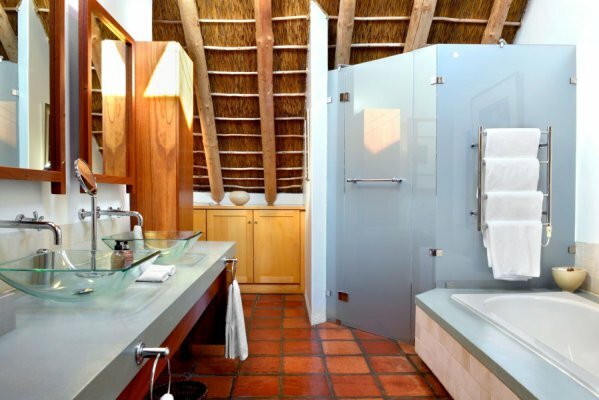 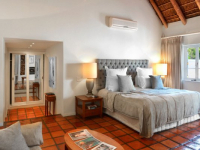 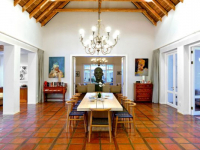 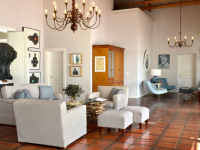 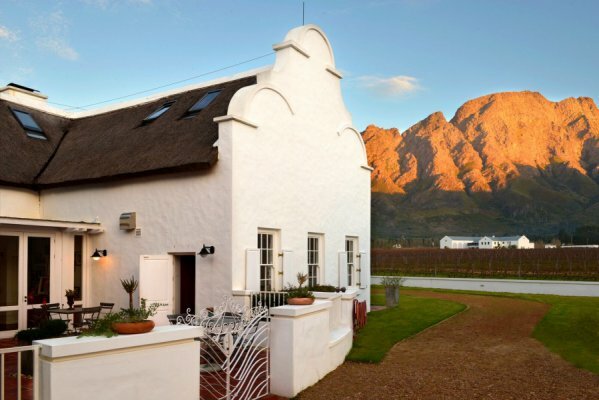 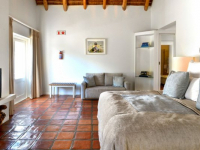 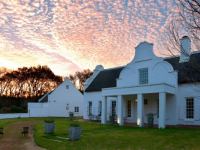 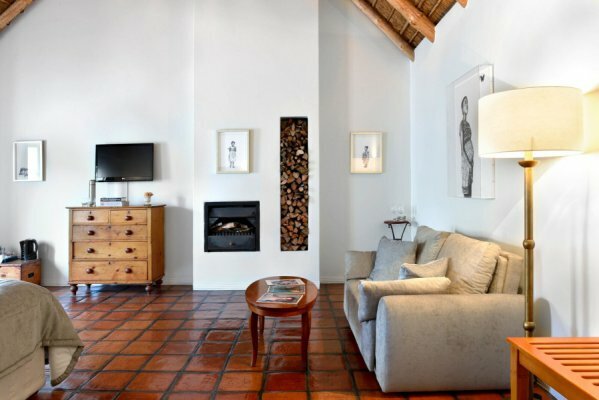 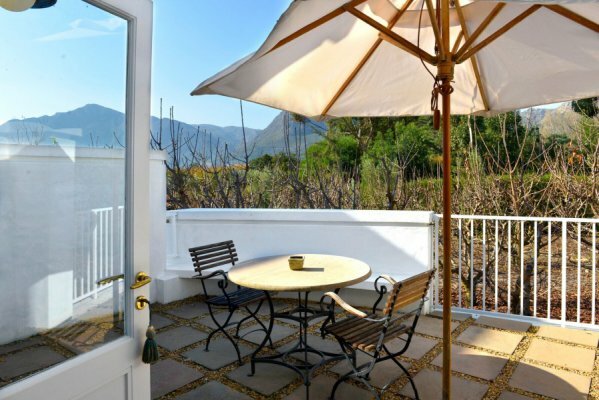 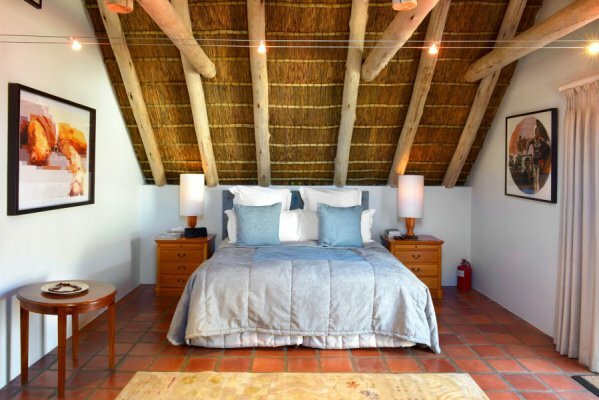 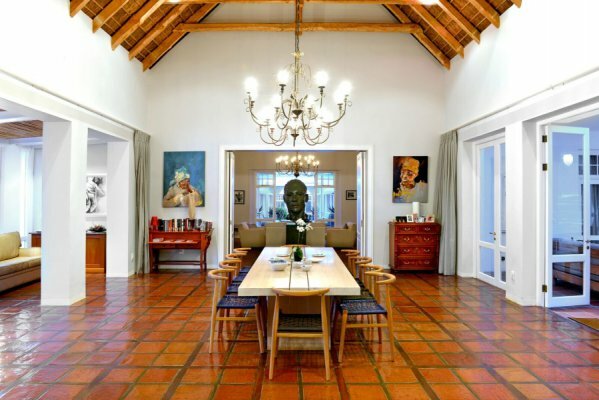 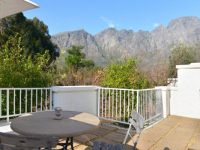 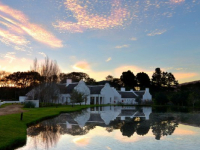 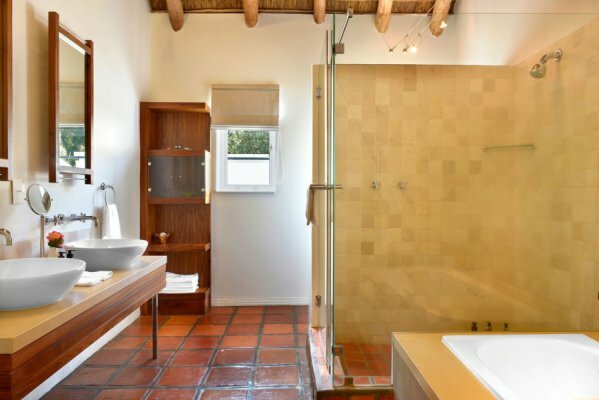 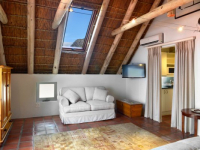 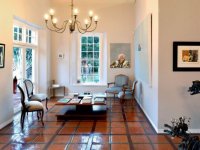 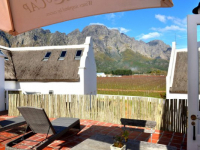 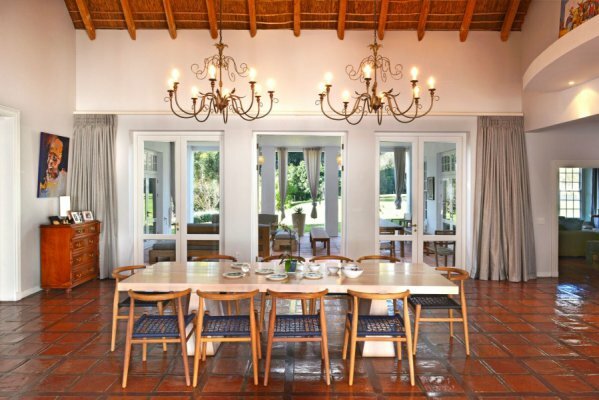 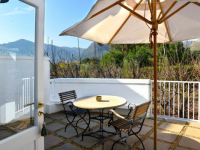 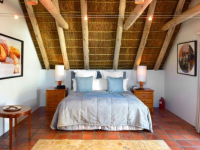 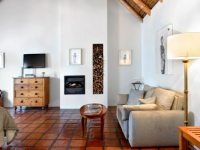 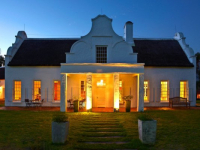 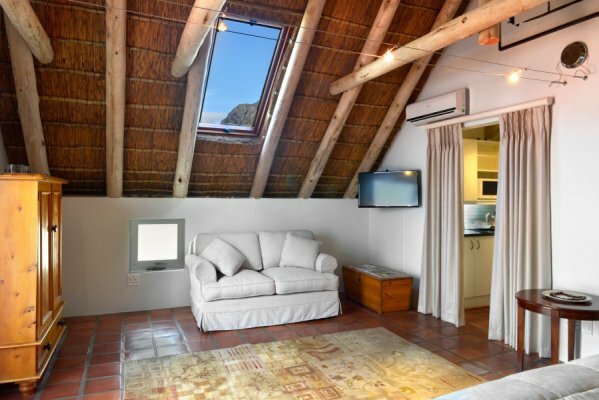 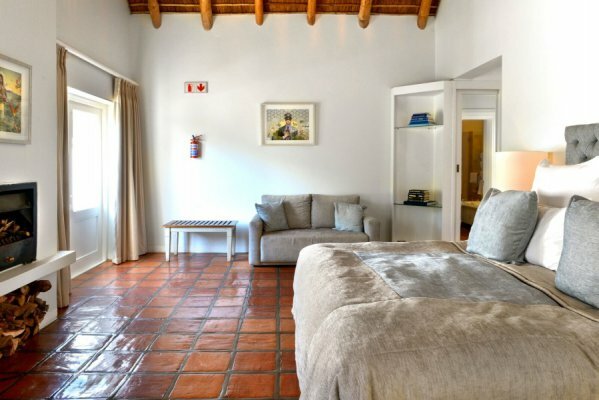 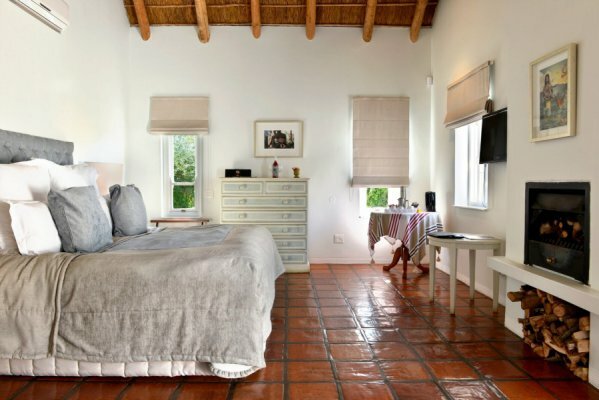 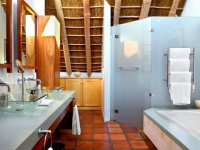 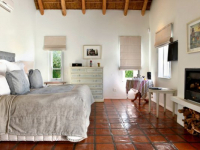 Holden Manz Country House is an exclusive 5 star haven in the Cape winelands offering tranquil views of the exquisite Franschhoek Valley and accommodating guests in five luxurious suites. 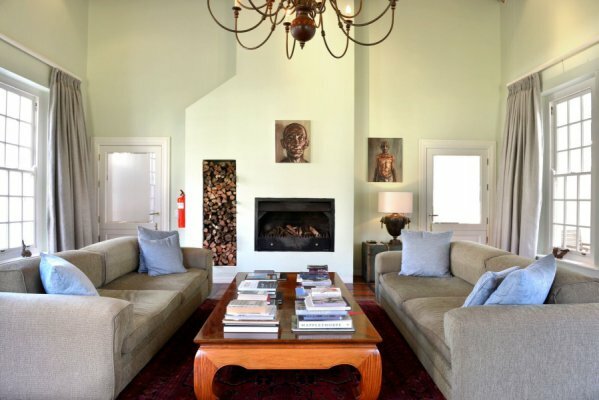 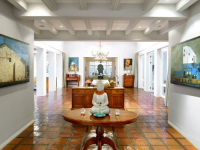 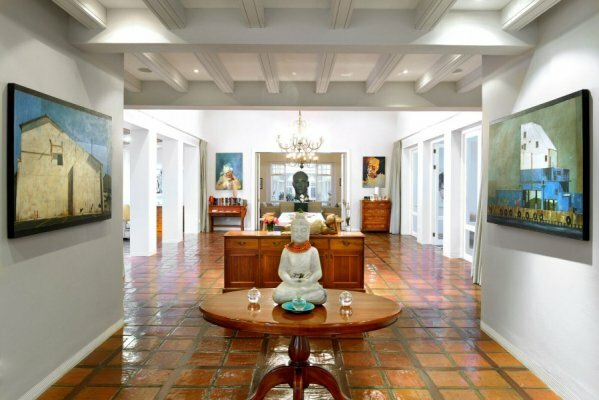 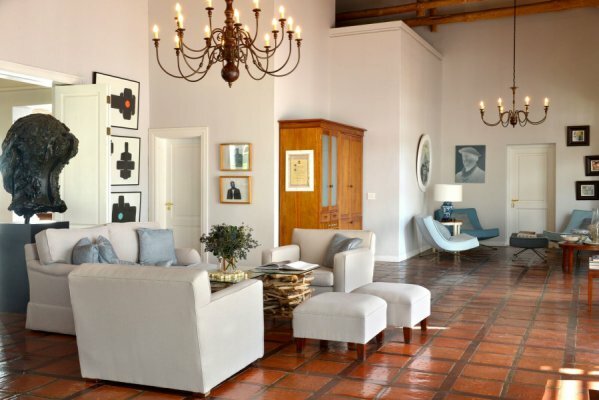 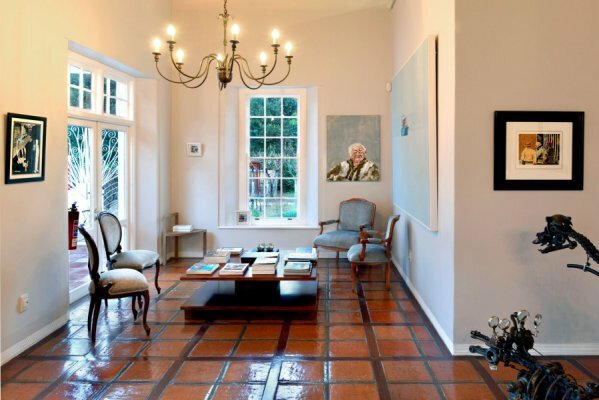 Sumptuous interiors in the manor house display a magnificent selection of contemporary South African art and make sublime spaces for relaxation in between exploring the region’s attractions. 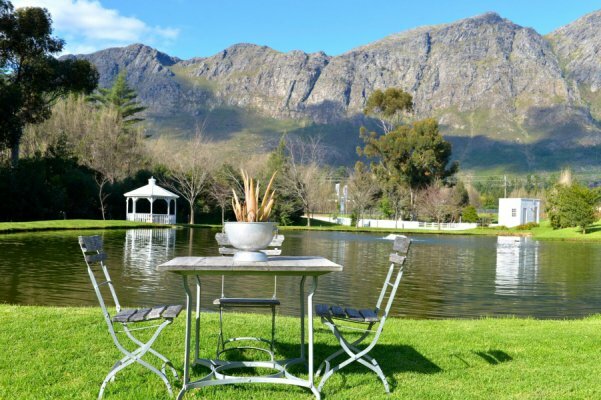 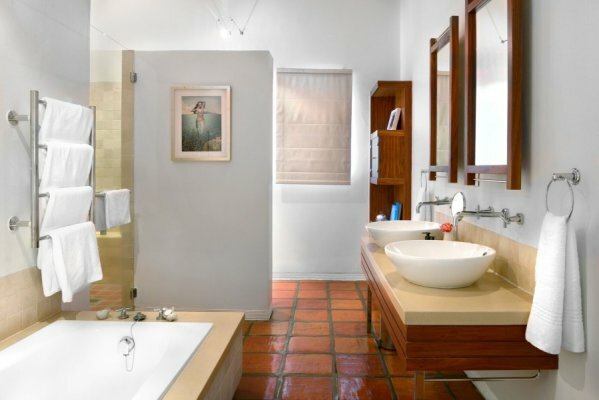 Outdoors there is a swimming pool, a koi pond, and orchards and vineyards to enjoy – the setting is utterly glorious! 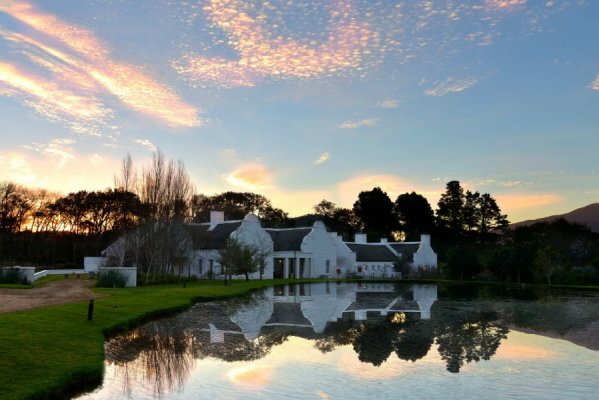 The advantage of staying on a working wine estate is that there are cellar tours and samplings of outstanding wines on site. 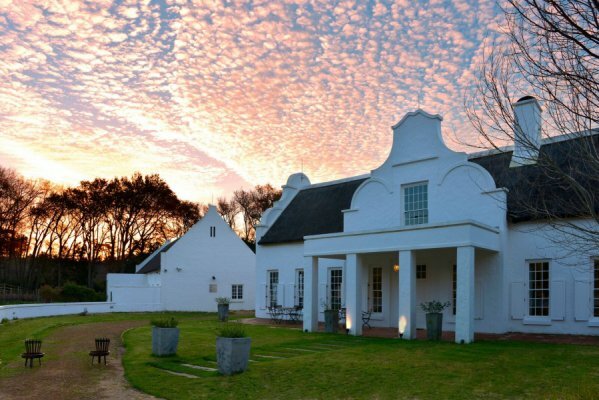 There's currently no specials at Holden Manz Country House.